The Los Angeles metropolitan area harbors the largest homeless population in the United States of America. The U.S. Department of Housing and Urban Development reported a nearly 26 percent increase in homeless residents in both the city and county in 2017, increasing the total homeless population to more than 80,000. 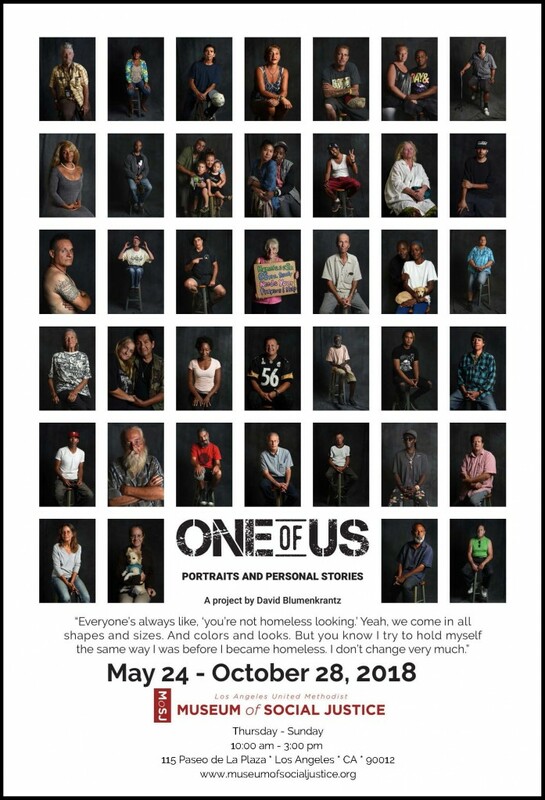 California State University, Northridge journalism professor David Blumenkrantz documents the stories of the city’s homeless in a photography exhibit, “One of Us,” on display at the Los Angeles United Methodist Museum of Social Justice from May 24-Oct. 28. An opening reception will take place from 3 to 5 p.m. on Saturday, May 26. The exhibit displays conversations with and photographs of more than 40 individuals, representing a comprehensive catalog of the causes and symptoms of homelessness and the many obstacles that make it such a difficult situation to rise above. The project arose out of a longstanding collaboration between Blumenkrantz and the San Fernando Valley Rescue Mission, and a shared desire to change the conversation surrounding homelessness, he said. Earlier this month, CSUN recognized Blumenkrantz for his work on this project at the 2018 faculty awards, honoring him with the Exceptional Creative Accomplishments Award. The Museum of Social Justice is located at 115 Paseo De La Plaza, Los Angeles, CA 90012. For more information on the exhibit, and to RSVP for the opening reception, visit: www.museumofsocialjustice.org.